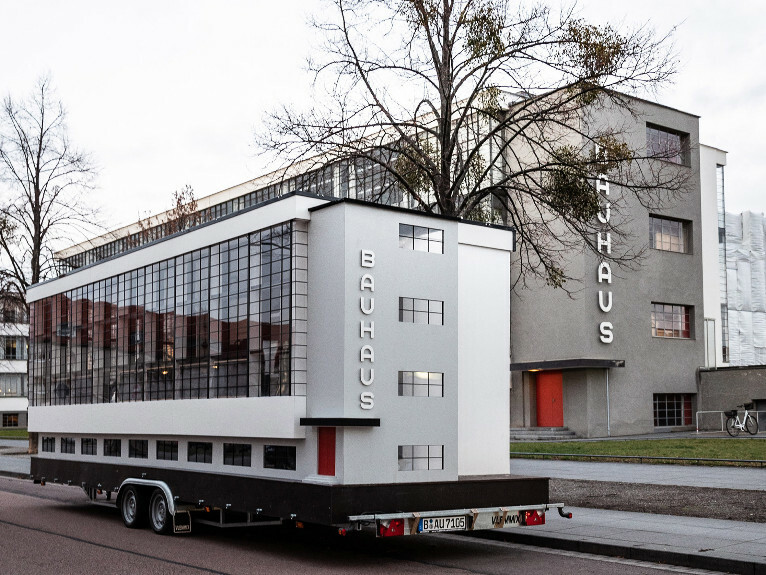 All Aboard the Bauhaus Bus! 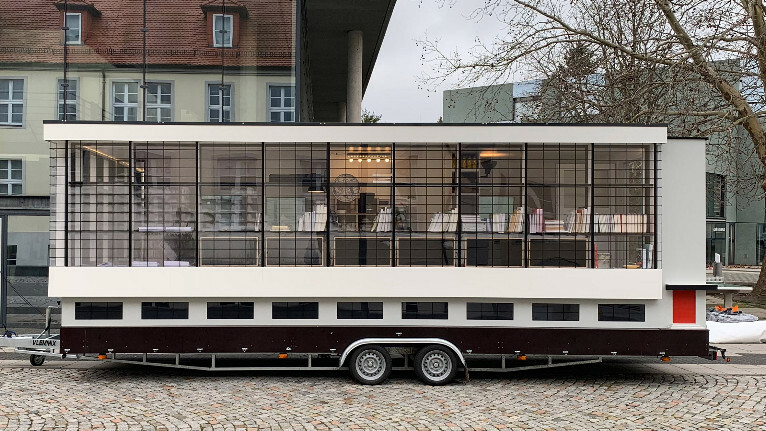 The ‘Wohnmaschine’, literally a ‘living-machine’, a reference also to Le Corbusier’s Unité d'Habitation housing project in Berlin, is architect Van Bo Le-Mentzel’s miniature version of the Dessau Bauhaus school on wheels. Literally a Bauhaus Bus. The composition is complete with the original building’s gridded glass walls and Herbert Bayer’s lettering down one of the external facades. 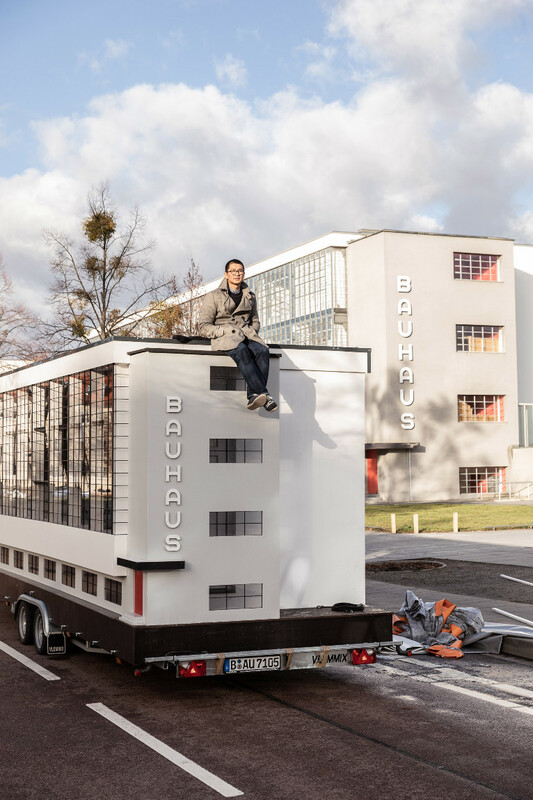 There has been no shortage of initiatives and events in Germany celebrating the centenary of the Bauhaus school. 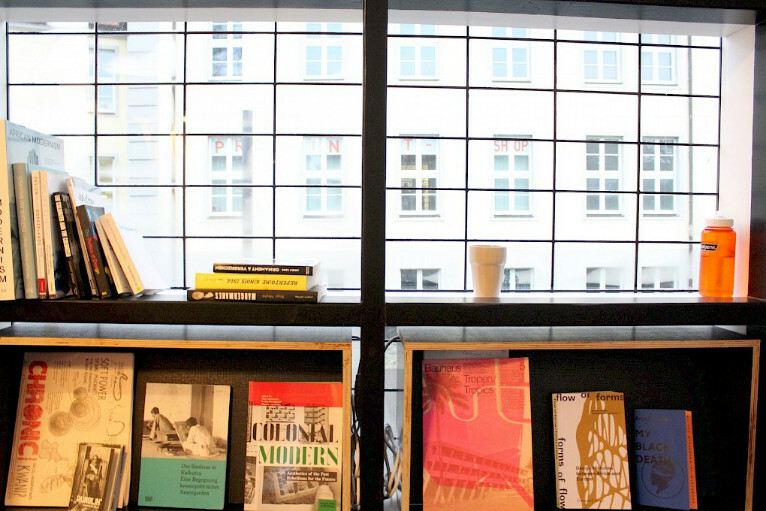 Founded in 1919 by Walter Gropius, in its mere 14 years of existence (1919-1933) the art and design school left a deep and enduring mark on the twentieth century. As part of a larger project called Spinning Triangles by Savvy Contemporary, the Wohnmaschine is also an attempt to study the effects and potentials of Bauhaus in our contemporary society: 'Words and actions aim to challenge and transform Bauhaus traditions and narratives of modernity and modernism'. 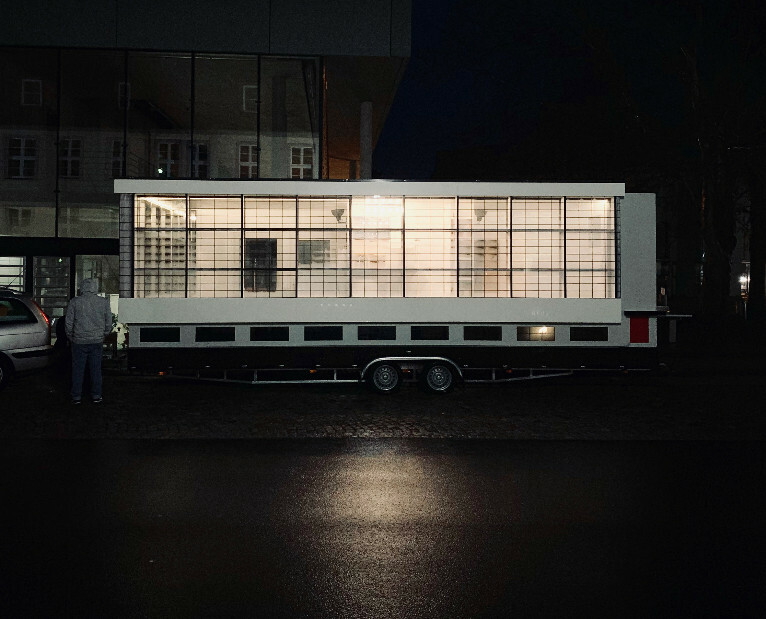 The 15sqm-interior is built to host exhibitions, talks and workshops as it leaves Dessau and travels around the world through Kinshasa, Berlin, and Hong Kong’s Para Site. 'Design has power. It creates our environments, our interactions, our being in the world ', the organization explained. The goal is to break through colonial barriers built up in Architecture over the decades, inviting new perspectives and insights to the field: 'For too long, practices and narratives from the global south have been kept at the periphery of the design discourse, been ignored altogether, or appropriated. This school will not be developed by the geopolitical west, but through the accelerated movement between deeply interwoven places', said Savvy Contemporary. 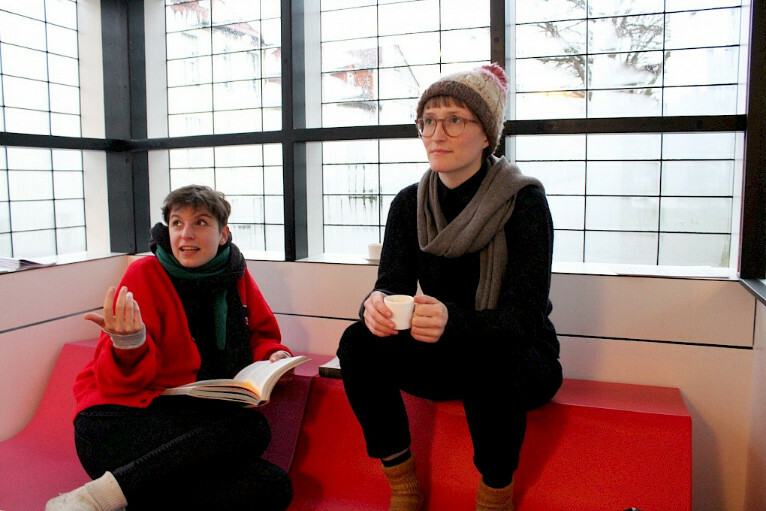 The project is funded by the German Federal Cultural Foundation’s Bauhaus Heute Fund. The Wohnmaschine has now left Berlin and will be in Kinshasa from 4 to 12 April. Cover image credits: © Tinyhouse University. Thanks to Rossana Vinci for her help researching the piece and sourcing images.